Oh look at that. After the rather rocky way through Castlevania: Harmony of Dissonance, I practically devoured the successor, Aria of Sorrow. I finished the game in two days or so. It took me around 8 hours or so. Just two late night sessions. Needless to say I enjoyed it a great deal more than Harmony of Dissonance. Here is why. Consistent Style – Or perhaps I would say MORE consistent style. It’s Castlevania we are talking about after all. But one thing that really confused me about Harmony of Dissonance was how arbitrary everything looked. Here is a selection of some of my favorites. 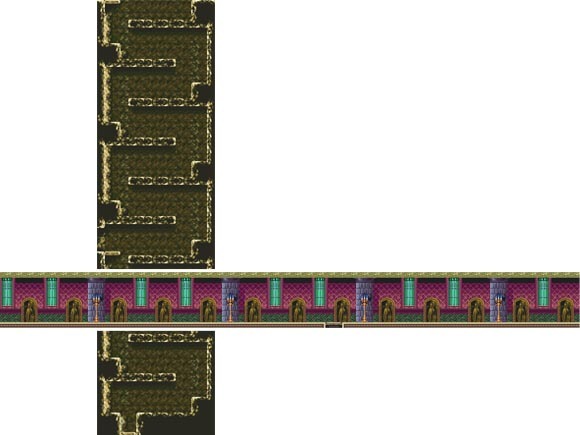 Varied Level Design – In Harmony of Dissonance, there are basically just two kinds of rooms. The first one is an empty hallway with a floor all the way at the bottom of the screen and a ceiling all the way up at the top. The second one is a vertical staircase. This is pretty much the majority of all the rooms in Harmony of Dissonance. I swear, these are not textures but excerpts from the actual level map. Of course this is an over-exaggeration but there are plenty of such highly repetitive passages in the game. Aria of Sorrow has them too, yet not as prominent. It seems like they always manage to mix them up somehow. Even if it is by the simple act of lowering the ceiling can go a long way. Engaging Magic System – Harmony of Dissonance has a very confusing system for magic spells. You can find 5 spell books. You can equip one of them at a time. You can also switch between 6 sub-weapons by picking up the corresponding pickups. When you equip an spell book, your sub-weapons turn into spells. Which weapon turns into which spell is difficult to figure out. You need to test it but you can’t switch between sub-weapons freely. It’s a complex system that requires experimentation. But at the same time, it’s a system that makes experimentation difficult and tedious. Aria of Sorrow is different. You collect spells in the form of “souls”. They are basically pickups that are sometimes dropped by monsters. Each monster type drops a different soul. You can equip any soul at any given time to cast a magic spell – often related to the monster the soul belongs to. It’s a much more simple and much more rewarding system. There is something extremely satisfying about being able to absorb the powers of ANY enemy and turning it against them. Also, because every monster can drop a soul, there is potential for going on Pokémon-like collecting sprees. Generally, it’s nice to see a series evolve and gradually improve over time. There is just one thing that bugs me. Harmony of Dissonance came out AFTER Symphony of the Night. I noticed that Symphony of the Night didn’t have the issues that Harmony of Dissonance had. Perhaps Harmony of Dissonance was made by a different, less experienced team? Or perhaps it was a failed experiment? Be that as it may, Aria of Sorrow was finally the first Castlevania that was as enjoyable and polished to me as a Metroid title. I’m torn about which way to go next? Dawn of Sorrow, which is the continuation of Aria of Sorrow on the Nintendo DS? 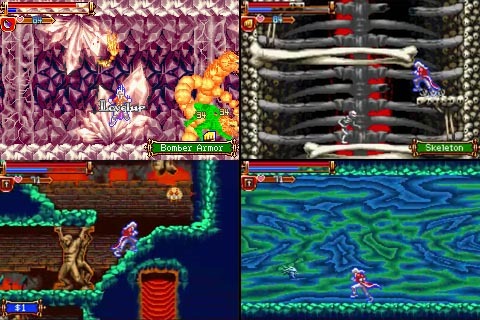 Or Symphony of the Night, which is the game every modern Castlevania game is based upon? Any suggestions? Outside of having some muddy graphics (I think it was a launch title? ), Circle of the Moon feels and plays just the way you’d expect it to. 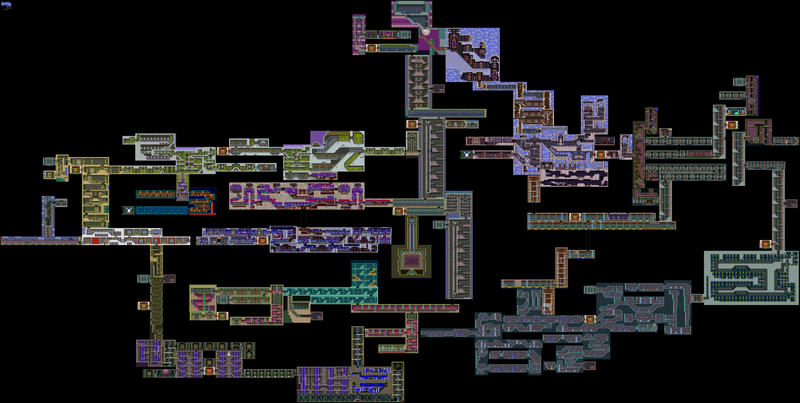 Of the top of my head, I remember some really intense up/down platforming, and having to equip different cards to get through poison floor areas (or you’d have to be a jumping/grinding genius!). Harmony of Dissonance always felt as if something was off. Graphics, sound, weapons, maps…you named it all. Juste Belmont didn’t play like a Belmont at all, and you’re constantly expecting the game to just say he’s a vampire or something. He’s not, he’s just a super weird floaty human who glows all the time. Dawn of Sorrow is the pinnacle of the series in my opinion. I’d recommend beating Symphony of the Night and Circle of the moon in either order. After that you still have 3 whole DS games to work through.